Everything is coming to an end. As the march toward A New Hope looms in the not-so-distant future, elements of what we know and love from the very first Star Wars film are coming into focus. Season 3 brought to a close Maul’s story while reintroducing us to Jedi Master, Obi Wan Kenobi who hasn’t been seen other than by holocron since the series began. A thrilling moment for fans to see these two in combat one final time and a fitting end for them both as Obi Wan offers comfort to the fallen Maul in his final breath. In the same episode we also get a brief glimpse of Luke Skywalker for the first time as Aunt Beru calls him home in the familiar “Luke? Luuuuke…” voice we hear in the films. Luke isn’t seen in any detail (and according to Executive Producer Dave Filoni, they used an Ezra model for the shot) but just his shadow running toward the familiar Lars homestead. 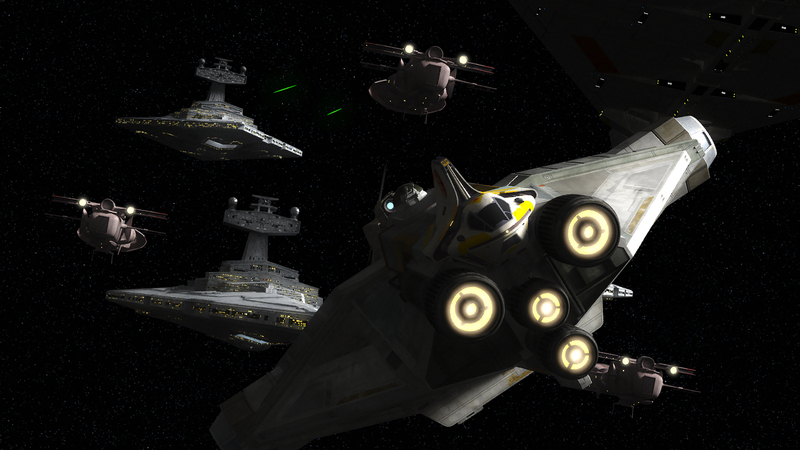 Still, more and more, Star Wars Rebels continues to intersect the world of the original films in greater detail. 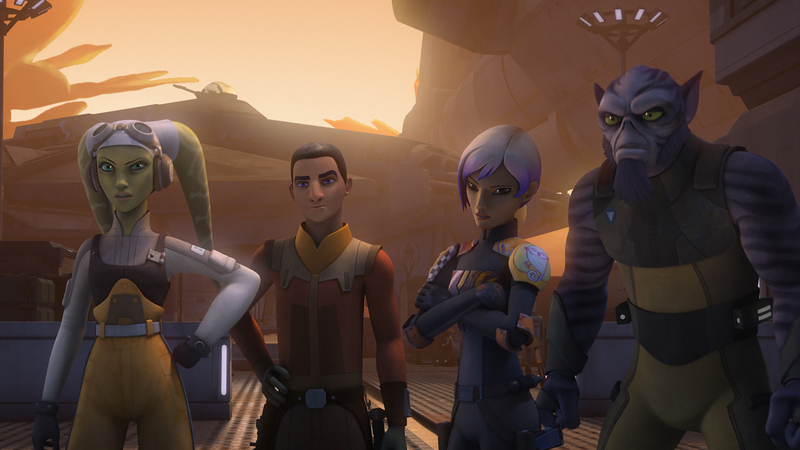 Sabine is sent undercover to liberate a few cadets who want to defect to the rebellion – including one Wedge Antilles! During Season 3 the origin story of Wedge Antilles is also revealed. The only pilot to survive the original trilogy Wedge is a fan favorite and his story had yet to be told until now. 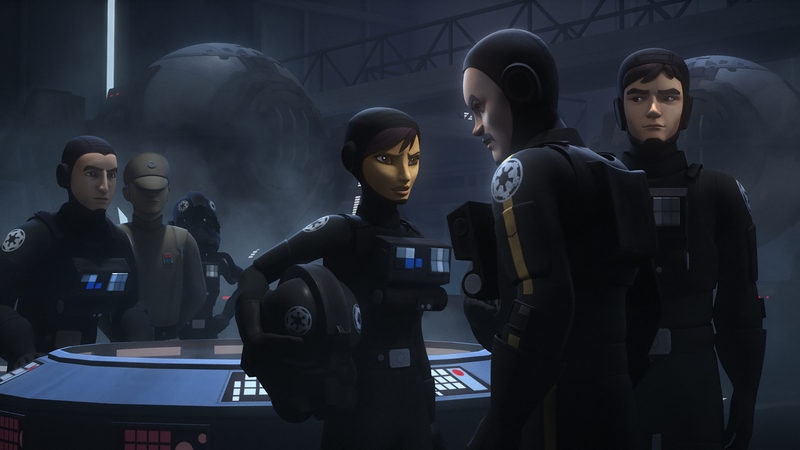 Hobbie joins up with Wedge in the same Rebels episode and in a later on Mon Mothma makes her first Rebels appearance (Genevieve O’Reilly portrayed the senator who she voiced in Rogue One). Another Rogue One veteran comes to Rebels in Saw Gerrera (voiced by none other than Forrest Whitaker) bridging Saw’s first appearance in The Clone Wars. On the Imperial side, Colonel Wullf Yularen makes his presence felt as a leader of Imperial Intelligence. 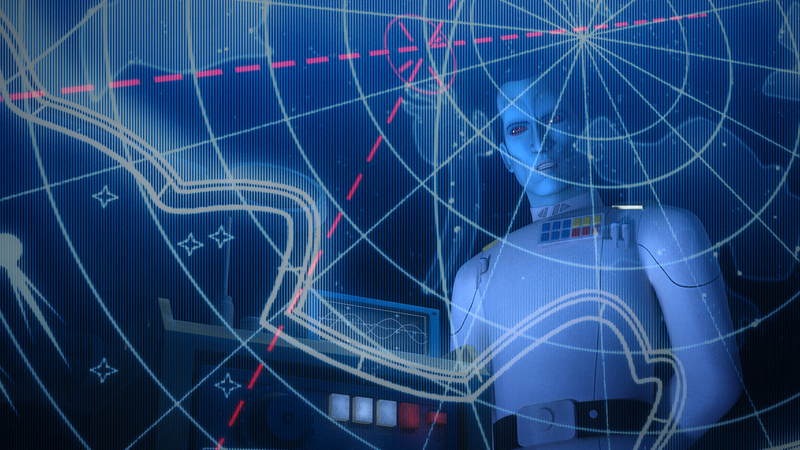 But the most significant character reveal in Season 3 is Grand Admiral Thrawn. Thrawn is another fan favorite from Timothy Zahn’s Legends novel Heir to the Empire. He has developed a strong following and his appearance brings him full force into the new canon history. Voiced by Lars Mikkelsen (Sherlock and House of Cards fame), Thrawn is as conniving, cunning, and meticulous as his book version. During Season 3 he is the primary antagonist to the growing Rebellion and through a number of data points is able to finally determine the rebel base on Atollon. He launches a strategic attack on the planet, only to have it narrowly thwarted by the Force-wielding Bendu and the help of Sabine’s faction from Mandalore. The new Thrawn novel is written by none other than Timothy Zahn and fills in even more of his amazing history! And could Rex be that grizzled old fighter on Endor? In a Q&A last year at the end of Season 2, Dave Filoni, the show’s executive producer and guiding light said, “…the one thing I have really thought about is, I really do think that Rex is that guy on Endor. I really do. Why else is there a bearded old guy on Endor? Why? It makes no sense!” If one man could make that a reality, it would be Dave.